Palit Microsystems Ltd, leading graphics card manufacturer, is proud to announce a closer co-operation with EK Water Blocks, Ljubljana-based premium water cooling gear manufacturer from Slovenia. This decision has been mutually taken in order to offer best possible support to customers deciding to watercool their Palit engineered graphics card. Palit always takes it a step further and develops electrically improved versions of graphics cards offering substantialy higher performance and reliability out-of-the-box. This already high overclocking & stability potential can be further improved by the use of highest performance water cooling solutions provided by EK Water Blocks. As a result of this co-op Palit customers can expect a much quicker availability on these new, customized graphics cards offering a high quality customized water cooling solution from the launching day on. 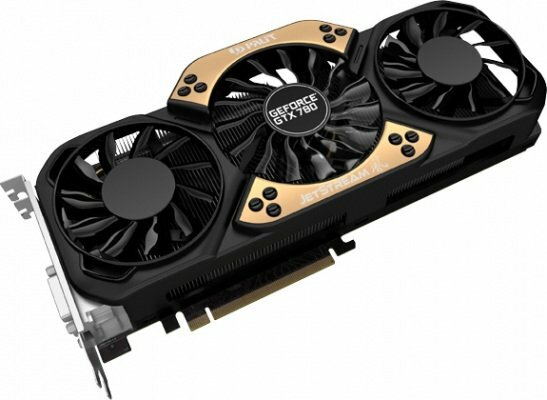 The first fruit of this collaboration will be the release of EK Water Blocks Full-Cover water block for Palit’s Titan-killer graphics card – the GeForce® GTX 780 Super JetStream which is due to release in second half of August 2013. Established in 1988, Palit Microsystems Ltd. is well-known for manufacturing stable, excellent, and innovative electronics products. As one of the top PC components manufacturers, Palit continues to provide top-to-bottom graphics cards with stable and excellent quality to the world. With office in Taipei, logistic center in Hong Kong, factories in Mainland China, and branch office in Germany, Palit has developed a worldwide sales network and cooperated closely with our customers.